46512 E V Cooper Engineer, Aviemore, Thurs 28 May 2015 - 1220. Awaiting departure with the 1230 to Broomhill. 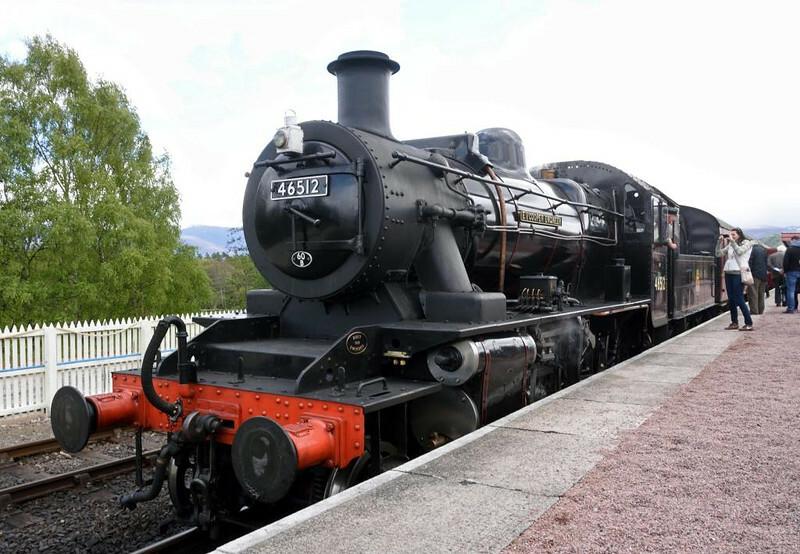 This was the only main line steam loco in use by the Strathspey at the time of my visit. Caledonian Rly 0-6-0 828 and Black 5 5025 were both inaccessible.